Thailand, with it’s beautiful weather, relaxing atmosphere, friendly local people, and delicious cuisine make it an ideal travel destination. A trip to Thailand can include exploring the bustling city of Bangkok, trekking to remote hill tribe villages, relaxing on the beaches of Southern Thailand and visiting incredible historical sites. As some of the islands and beaches have become quite crowded, some travelers seek to explore a more off the beaten path destination in Thailand. Below you’ll find a few of our favorite unique Thailand adventures. If you’re looking for an off the beaten path adventure that allows you to experience rural Thai life then Lisu Lodge is the place for you! The lodge is named after the hill tribe village of Lisu, which is situated nearby the eco lodge in Chiang Mai. As part of a community-based project Lisu Lodge has initiatives in place to help conserve the natural heritage of hill tribes of Northern Thailand. 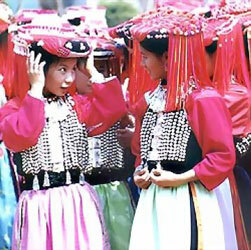 The Lisu hill tribe migrated from Southern China and Tibet in the early 20th century. During your stay at Lisu you can enjoy a guided tour through the village visiting local families, perhaps be invited into someone’s home for a cup of local tea, and meet with a local shaman. You should also visit the cultural center and museum, created by the villagers, to showcase the culture and lifestyle of the Lisu and Akha mountain tribes. Lisu Lodge overlooks the lush fields and hills surrounding the valley, and offers and a blend of adventure, relaxation, and unique culture. Other activities offered including cycling, white water rafting, and trekking. On one of Global Basecamps’ Thailand tours, travelers take a scenic drive to the spectacular Khao Sok National Park. The park has beautiful limestone karst scenery, lakes, waterfalls, and lush green jungle. Elephant Hills, a luxury tented jungle camp located next to Khao Sok National Park, is an ideal lodging options. At Elephant Hills you have the chance to interact with the elephants and learn about their life, and the conservation project. Elephant Hills offers many multi day safaris that include elephant trekking through the rainforest, canoeing, jungle trekking, and visiting the Cheow Larn Lake and mangrove forests. The forest has an abundance of plants and animals, some which can only be found there. At night as the temperatures drops, there are campfires that guests gather around to share travel stories and listen to the sounds of the rainforest. 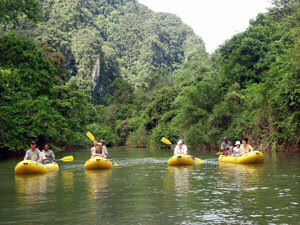 For a great day trip, canoe down the Sok river, which is lined with thick jungle and tall limestone cliffs. You should keep an eye out for kingfishers, egrets, bulbuls, flowerpeckers, sunbirds, monkeys, and lizards along the banks. Elephant Hills is a perfect base camp to explore the beauty of Southern Thailand. Mae Hong Son is a province in Northwestern Thailand, along the border of Myanmar. With a cool climate, stunning mountains, abundance of flora and fauna, clear mountain springs, and limestone caves, it is a nature lover’s paradise. There are many ethnic groups in the area including the Karen, Lisu, Lahu, and the main one being the Shan people. Each ethnic group has a unique language, customs, traditions, and cuisine. Some fun activities you can participate in around Mae Hong Son include bush walking, bird watching, trekking, mountain biking, or planting and harvesting some rice. 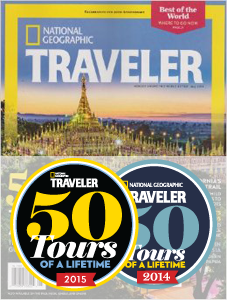 Global Basecamps offers a tour of Mae Hong Son, including some of the temples and local villages. A short drive away from Mae Hong Son is the village of Mae Aw, located on a mountain peak at the Myanmar border. Mae Aw is a KMT settlement, filled with old renegade fighters that now enjoy a quiet life in this quaint tea village. The scenery on the drive up and around the town is beautiful. On the way back to Mae Hong Son you can stop at another village called Ban Ruam Thai, which is surrounded by coffee plants, fruit trees, and more stunning scenery. A local villager will demonstrate the process of making coffee, from picking the beans to roasting and grinding. Pai is another highlight of Mae Hong Son province. Spend a few days experiencing the rich culture of Pai, which is situated in a beautiful green valley. There are many scenic walks you can take around Pai, and be sure to take a dip in the waterfalls, followed by relaxing in the hot springs. There are many riverside cafes and restaurants that offer great local dishes. You’ll also find many stalls on the main street selling local made crafts, clothes, and other souvenirs. Pai also offers many activities for the adventure seeker, including water rafting, boat rides, bike rides in the hills, and treks to neighboring villages.